I have a soft spot for small business, especially when its another Mum going out on their own as a one man show. So when an email from Hilary at Green Envy Living hit my inbox a few months ago, I made a mental note that hers was a site worth visiting. It took a little while, but the day came around that a very special friend of mine gave birth to a funny little man, and I knew I had found the perfect person to go shopping for at Green Envy Living. Green Envy Living has an assortment of the most beautiful and unique items, perfect for gifts or as something special for yourself. I hate giving a garden variety gift, especially when its for a really special occasion like a wedding or birth of a little one, so I was very excited to find Hilary's website. 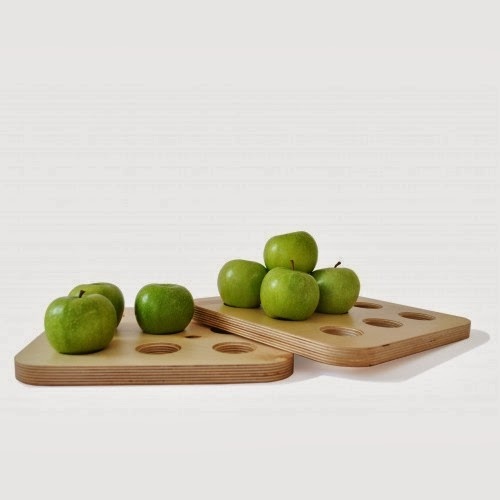 One of my favourites on the site has to be this fantastic wooden fruit block. See those holes? Kind of like a Chinese checkers board for fruit. It helps the fruit be stacked in a way that looks attractive but is also great for air flow. "The first time I said 'NO'"! "The first time I called you by your first name"
"The first time I drew all over something I shouldn't have with a pen"
Those are the memories that are funniest to recall, the ones you will tell your kids about for years to come and dredge up at the 18th birthday party. I love that the cards give you a chance to document these sweetest of memories on such beautiful cards, stored in a gorgeous keepsake box. My favourite thing about them though is that they are not mass produced, so they will stay an uncommon gift. A little bit special, a little bit sweet. The designer Angela Mahon has them made in her own home town in Ireland using recycled paper and hand made wooden boxes. "I’m originally from Dublin, and from a very early age I developed an obsession with Australia! My obsession generally involved school projects and large amounts of “Home and Away” and “Neighbours”. I first traveled out to Australia at the tender age of 21 and travelled extensively around the country. I came back out again when I was 26 and travelled some more, filling in the bits I missed! 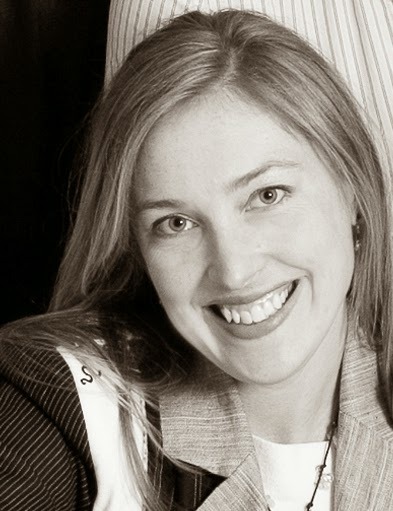 However, it was while I was working as an Interior Designer back in Dublin that I met my Australian husband! From then on life involved many trips back and forth from Ireland visiting family in Melbourne, Sydney and Wooli in NSW. Australia was very much my home from home. In July 2012, we decided to relocate permanently with our two small boys (6 months and 2 years) and the Sunshine Coast became our home! However, it soon became evident that while the Sunshine Coast is glorious, it doesn’t have the same level of architectural practices that I would have previously been employed by as an Interior Designer. Commuting to Brisbane was going to be difficult with childcare so it was becoming evident that I was going to have to set up something myself. I needed something that I was passionate about, that I could use my skills and learn some more and that ultimately as a working mum, gave me some flexibility! In January 2013, I set up Green Envy Living. An online shop that specialised in boutique designers, who are creative, innovative and sustainable. I really admire when designers are also manufacturing in their country of origin. Starting off, I stuck to what I knew best, Irish and UK boutique designers. By doing this I wanted to introduce to Australia something fresh and new! Moving forward in 2014, I’m very keen on building up my range of Australian Designers. I already have the gorgeous Soy Tea Light Candle Sets, designed and made in Melbourne by the lovely Lisa Reynolds. Several of my cushions are also designed and made by a local designer in Brisbane. I really dislike the label designed in Australia, made in China and so my hunt has begun for beautiful Australian made and designed products. It’s really exciting, there are some real gems out there and I hope to start launching them early in 2014! I’m so delighted that the reception from Australian mums on the Baby Milestone Cards has been so positive. They really are so charming, they’re not a massed produced item coming from China, they’re unique and produced with care." 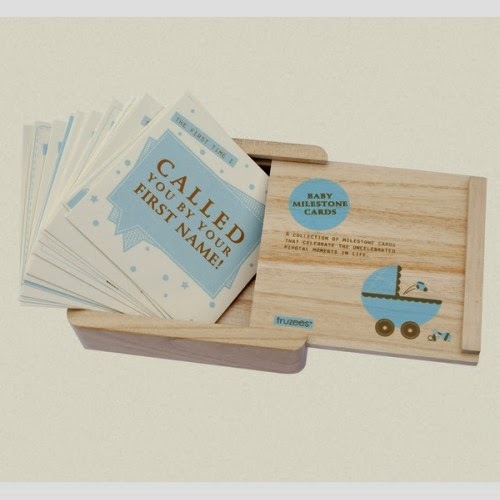 I was so impressed with the quality of the Truzee's Baby Milestone cards that I bought that I contacted Hilary a little before Christmas to see if she would like to be profiled. Her product offering is so beautiful, I really wanted to get it in front of my readers. And Hilary is giving me the chance to give away a Truzee's Baby Milestone Card set to one of you! Watch the blog over the next few days to find out how you can win a set of these gorgeous cards for yourself. In the meantime, head over to Green Envy Living's Facebook page and tell Hilary I sent you. Business's like hers deserve all the likes and love we can give them. Truzee's Baby Milestone Cards GIVEAWAY! Will You Be One of The Grudge Workforce? What Does 2014 Look Like?